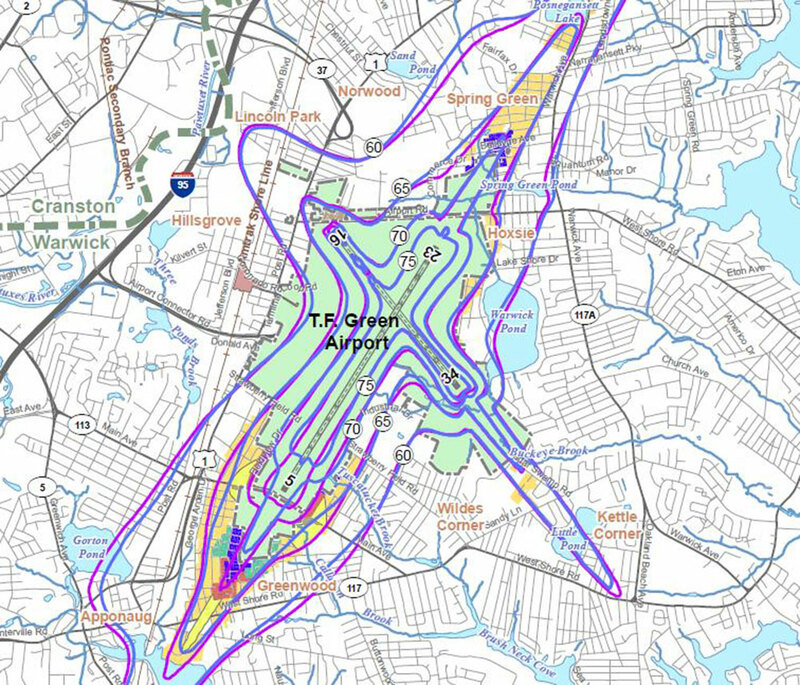 When the Rhode Island Airport Corporation conducted a revised Master Plan Update for T. F. Green International Airport in Warwick, RI in 2004, HMMH was retained to conduct the noise elements of an Environmental Impact Statement (EIS) addressing implementation of the Master Plan’s recommendations. The proposed improvements included extending the main runway, safety area improvements on the crosswind runway, relocation of the cargo facility, and local roadway upgrades and realignments. HMMH’s role included noise measurements, modeling, and analysis of the proposed improvements, including noise associated with aircraft flight and ground activity, and with surface vehicle traffic. This project provides an example of the diverse range of noise-related issues that might require assessment as a result of on- and off-airfield improvements. The project included two updates of the aviation activity forecast and three versions of the Integrated Noise Model (INM). HMMH’s RealContoursTM, a preprocessor to the INM which utilizes actual radar flight tracks, was also a key part of the analysis. The project also included a detailed off-airport roadway analysis and a cargo area noise analysis utilizing FAA data. The reports include three forecast years and seven different runway configurations, some of which were developed during the EIS process. The Record of Decision (ROD) was issued by the FAA in September 2011 and the new runway opened in October 2017.